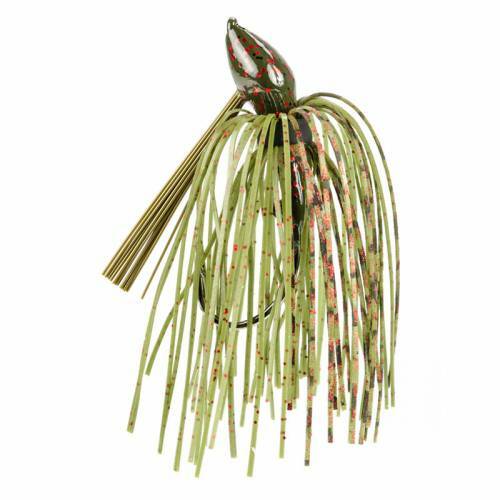 Strike King Denny Brauer Baby Structure Jig - 3/8oz Watermelon Red. An incredibly effective small jig perfect for fishing in extra-tight quarters and around light-feeding fish. Designed with the Cobra-Head for increased sensitivity and reduced lip blow-out. Assorted colors available.